It doesn't take a lot for me to unwind. Curling up on the couch with popcorn, a glass of wine, and of course, some of my favorite shows is my idea of a perfect night at home. When it comes to snacking, I've experimented with a few different flavors before, but never quite hit the perfect combination of a timeless snack combined with a smooth spirit. Trying to narrow down which popcorn and wine make the best pair can be difficult. It's a good thing the people at SkinnyPop have made it easy. 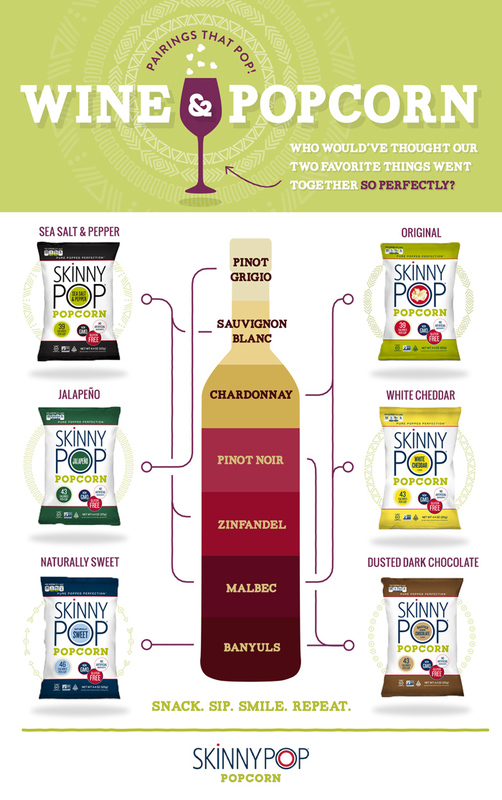 With this graphic below, a night of chillin' is even simpler: Choose your favorite popcorn flavor and pair it with the best wine. And then relax with your snack while watching your favorite shows (or movie). Spring is a busy time for tv shows and all of us binge-watchers. A lot of series are reaching their final episodes or season finale, as newer shows ready to take over summer. One of my favorites this year has been HBO's big thriller Big Little Lies. Based on the novel by Liane Moriarty, it weaves murder and mischief with the complicated relationships between housewives, their spouses, and children in a serene, beachfront community. With a top-notch cast like Reese Witherspoon, Nicole Kidman and Shailene Woodley, and hypnotizing direction by Jean-Marc Vallee, it's been a gripping, wild ride. For the final few episodes which I've been saving to binge-watch, I chose white cheddar with malbec which is going to be perfect to enjoy with all of the who-dun-it suspense coming to an end. I can't wait to use this guide for more shows premiering over the next few months. My Monday nights are sealed with a new season of Bachelor in Paradise making me feel better about my love life (or lack of one). And then there's the wild escapade of Fargo on FX, which is getting a third, zany season of Minnesotans solving a crazy crime. 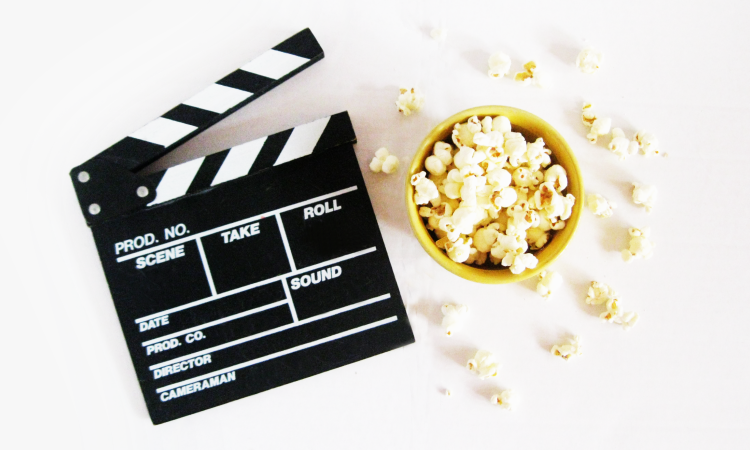 With summer around the corner, movie nights are also a great way to cool off from the heat with my family. I'm already planning ideas for going on an adventurous fairytale with The Princess Bride, grooving down on the beach with Beach Blanket Bingo, and trying to capture a great white shark with Jaws. 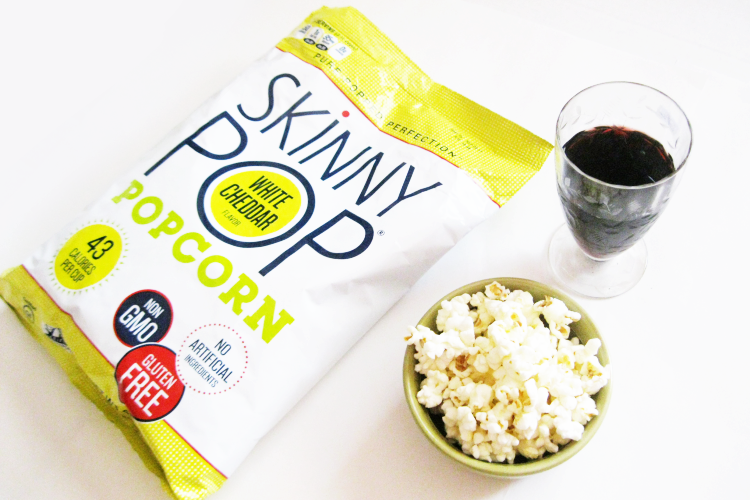 SkinnyPop's Sea Salt and Pepper popcorn sound delicious with Zinfandel will go well with these...Thanks to SkinnyPop Popcorn, they gave me the bright idea to enjoy guilt-free goodies to wind down and enjoy life a little more. What shows are you watching lately? What popcorn & wine combination are you going to make?